Mr. Fizz provides a colourful, interactive and entertaining children’s magic show for children across the whole of the Medway, Kent and the South East. With over 25 years’ experience as a children’s entertainer, Mr. Fizz the Colourful Wiz Magic Show is a popular choice for all kinds of events, from children’s parties to fetes and wedding receptions. Keep your children entertained and enthralled with a magic show, balloon modelling, music and games and a junior disco! We give you the option of choosing from four different shows and always make sure to discuss your requirements with you to create the perfect show for your children. Mr. Fizz has been wowing kids as a children’s entertainer with an array of colourful and interactive tricks for over two decades. Children will be marvelled by his Flying Carpet Illusion, where the birthday child will float two feet in the air in front of their friends and family, as well as his newest magic tricks: his X-Wing and Elsa Illusions. As a children’s magician, Mr. Fizz is also accompanied by his fluffy white rabbit assistant, Houdini. Watch the children’s faces light up when a real, live rabbit magically appears! 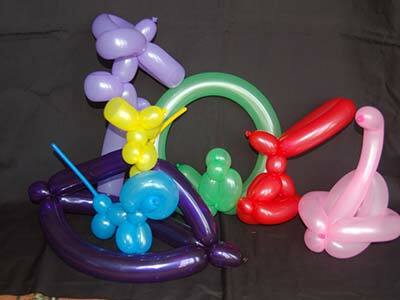 Mr.Fizz twists and shapes an array of colourful balloon models for all the children, flowers, rabbits, dogs, cats, swords, hats, parrots etc. 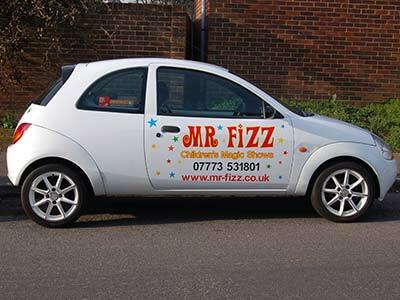 Mr Fizz will keep the whole party entertained and make all the children a balloon model to play with and to take home. Kids love the colours. 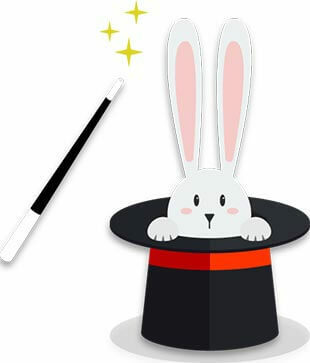 Houdini The Magic Rabbit will magically appear at the end of the magic show, children love to greet him and stroke his ears, plus a great opportunity to get that special photo with him. Party games are the centre piece of any birthday party and with Mr Fizz it’s no different. He will adapt to fit your party depending on the theme and the kind of games that your children will want to play. Just let him know! It's even something parents can get involved in. A small junior disco with colourful lights, playing party tunes and music for your children to dance and fill the room with laughter and joy! A perfect way to finish your child's magical event. Based in Medway, in Kent, Mr. Fizz is a children’s magician and provides a colourful and interactive show for ages 3-8 years across Kent and the South East. 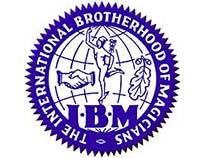 He also offers a mystical magic show for 8-12-year olds. From a colourful magic show, to balloon modelling, music and party games and a junior disco, Mr. Fizz provides a range of activities to marvel and entertain children of all ages! 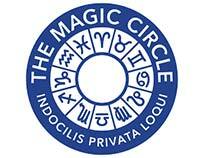 Terry Knight is an established children’s entertainer and member of the famous Magic Circle, as well as being International Brotherhood of Magicians, Equity, DBS, CRB, PLI and Police Record Checked for your peace of mind. If you are interested in booking Mr Fizz as a children’s magician for one of your parties, a christening, wedding, fete or at a school, then call Terry today on 07773 531801. Discuss your event requirements with us over the phone or get in touch through our contact page and we will get back to you by return!